Strange. This happened last weekend when I checked on Caity if she was ready to go. 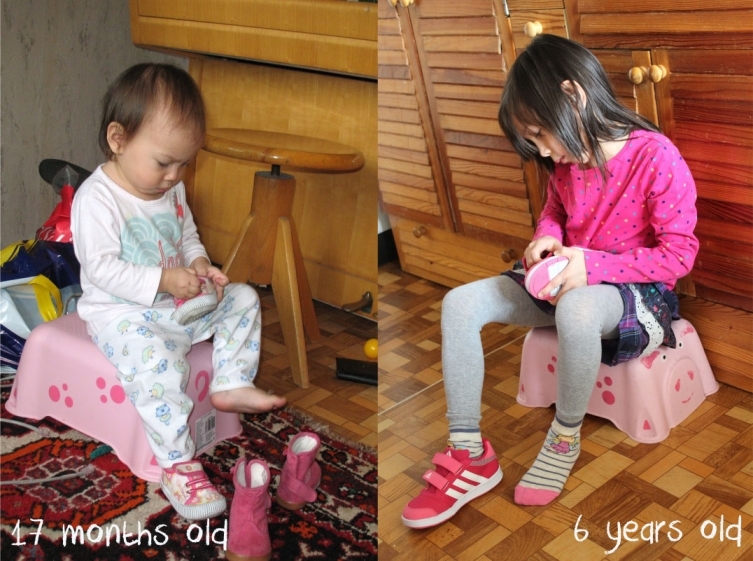 While I was waiting for her to get done, the sight of her putting on her shoes while sitting on that pink step-up stool looked totally familiar. Then I had a flashback of the little determined girl trying to master the skill of wearing her shoes on her own. How can I forget? I even have it documented in photos and videos! I have to admit I was a bit emotional when I watched her videos and how thrilled I was when she successfully put on her shoes. I guess I’d really flip if few years from now, I’d see her sitting in that same old stool trying on her first stilettos. Sniff. sniff. Time does fly and kids do grow. One day they’d be looking for miami condos for sale or flats here in Prague to move in. We’d be fortunate if they chose the latter. I’d want to live close by them. February 8th, 2014Can you see what I see? Oh, this book is so cool! I’m glad I picked it from the pile of books for sale without even giving much thought. I was simply attracted to the colorful pictures and when Adie started counting some of the objects there (The boy is into counting everything and anything! ), I immediately decided to buy it. Little did I know that it was like an I Spy book. 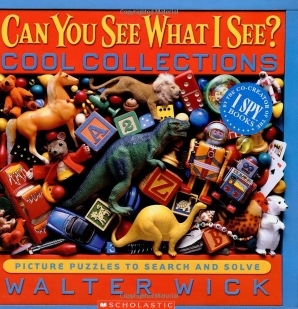 Well, the guy Walter Wick is THE brilliant photographer of I Spy books! 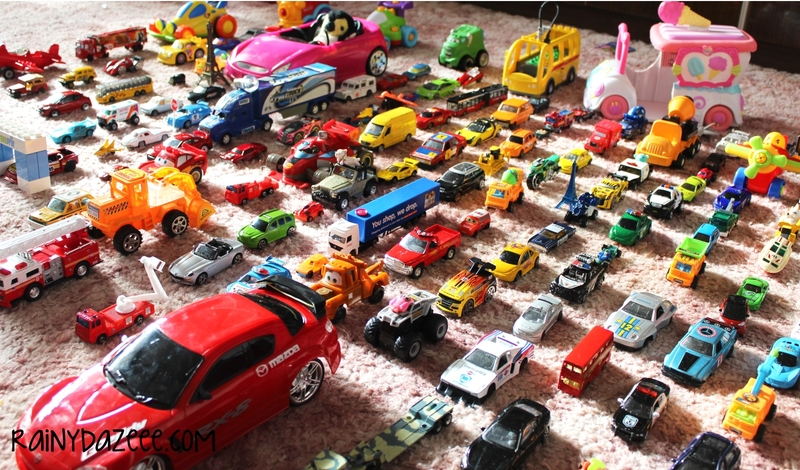 Because Adie has many toy cars, I thought “why not make the traffic jam real?”. Adie and I recreated the scene with all the cars lined up in rows. Then I placed random small things when the little boy wasn’t looking and let him find them. It was fun! Do you want to play? Can you see what I see? A pink owl, a light bulb. Two Eiffel towers. A dog, a cat. A penguin. A stop sign. The rest are not so visible in the photo. Anyway, did you see the mentioned items? 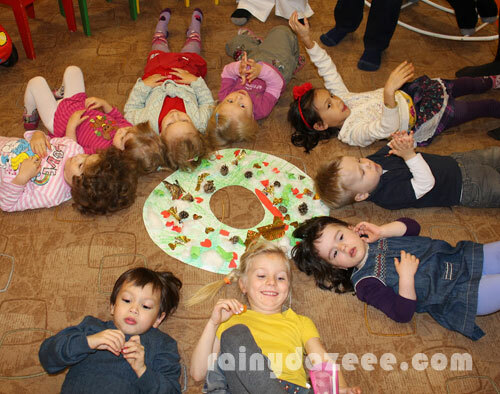 Adie and his friends during their class’ Christmas celebration. Parents are always proud of their kids’ talents and achievements. Nothing beats seeing your little one playing a complicated piano piece or gracefully dancing to a ballet number. This is why I’m starting my own kids early in their own journey of music and art. I try to make it fun and creative with them so they can get the most from these activities and learn a lot. One fine evening, our little Adie (who’s growing up fast as an active and energetic kid) entertained us with a mini concert. He delighted us by singing three songs – one each for Czech, English and Filipino languages. The English song was “Twinkle twinkle, little star” which we all know so dearly as kids. The Filipino song was “Bahay Kubo” which is about living a simple life in a farm with different varieties of veggies planted in the backyard. 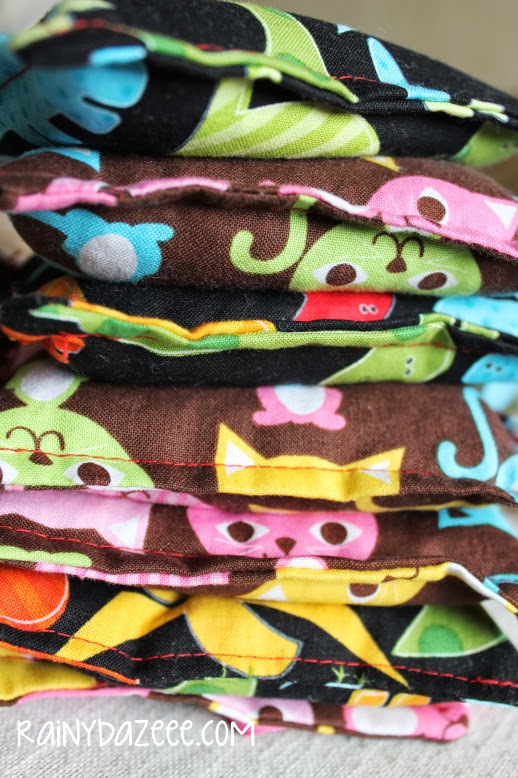 I made the kids bean bags ages ago using the oh-so-cute fabric from the Urban Zoologie collection by Ann Kelle. I first tried filling the bags with mung beans which was an expensive choice (and it was bio! ), I decided to replace it with white a kidney bean which was a practical alternative. The first time the kids saw it, they were curious what it was and what it was for. So I showed them few ways how to play with it. And being an open-ended toy, it encouraged them to use their imagination and come up with their own ideas for play. Last week, I took the bean bags out and my son and I played for an hour shooting the bean bags inside the hula hoop. He had so much fun! 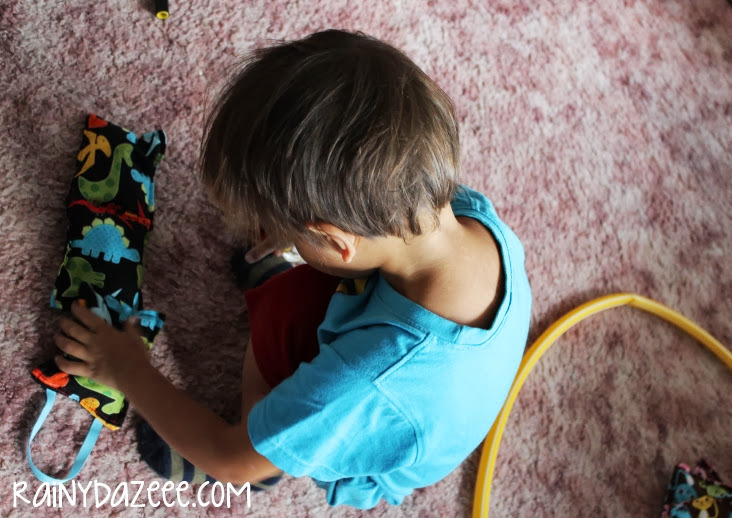 Since I had some chores to do, I left him playing alone and later found him engrossed, counting the bean bags. What you can do with bean bags? 1. Toss and catch. 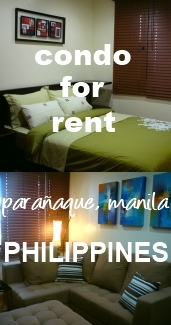 With a partner, you can toss the bean bag to him/her and he/she catches it and tosses it back at you. Or you can also play it alone. 2. Shoot into a bucket. (or hula hoop for younger kids. It’s easier for them to throw it inside coz the diameter is wide). 3. Balancing the bean bag on your head, shoulder or any body part, while walking towards the bucket where you drop it inside. 4. My daughter uses it as beds for her ponies. Cute! 5. It can be used to practice counting. 6. Got a sore body? Use it as a heating pack. Microwave for few seconds and its ready! 7. Hand warmers! I bet it would be great to put inside the pocket during the cold winter while waiting in the bus stop or walking out. Oh well, don’t worry about it. Just give it to your kids and they’ll surely find a way how to enjoy their little bean bags. I have to admit I like squeezing it in my hand.